İlter expressed that the refinery, with a capacity for processing 10 million tons of crude oil annually, was commissioned gradually, saying that, while increasing capacity, improvements should be made in terms of both logistics and supply sources. According to İlter, currently, the refinery is fully active and will have reached full capacity in a very short period of time. "It will process 7.5-8 million tons of oil in the rest of this year and will process 10 million tons of oil in full capacity next year. Once the refinery reaches full capacity, it will meet Petkim's need for raw materials. 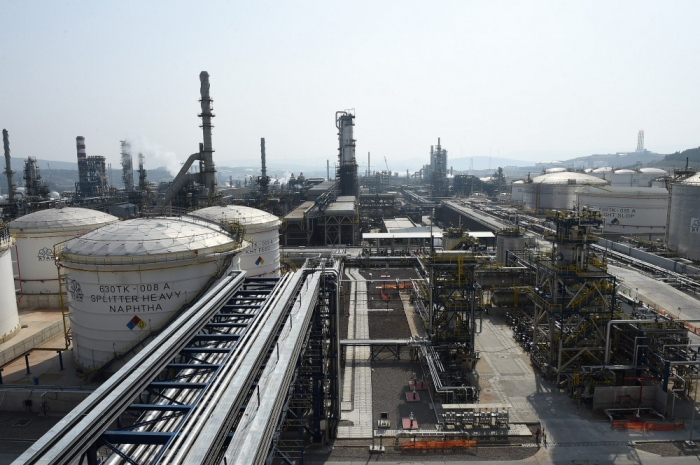 Until the second petrochemical plant planned to be built by SOCAR Turkey is launched, it will export about $500 million worth petrochemical raw materials annually, corresponding to some 700,000 tons of petrochemical raw materials. After the construction of the second petrochemical plant is decided and put into operation, it will be meeting the needs of this facility," he said. Given Turkey's growth and import data in Turkey's fuel oil sector, there is always a need for new refineries, according to the STAR Refinery general manager, who emphasized that it is crucial to make potential new refinery investments with petrochemical integration. Indicating that Turkey imports $17 billion worth petrochemical goods on an annual basis, İlter said that Petkim meets 20 percent of Turkey's overall petrochemical production. The total output of STAR is expected to decrease Turkey's current account deficit by $1.5 billion per year, by substituting refinery imports with domestic production. Turkey meets the majority of its oil and natural gas demand through expensive energy imports, which is a major expense on the country's budget. Pointing out that a refinery investment to be made with petrochemical integration will close the gap in fuel oil and petrochemical sectors, İlter stated that Turkey consumes some 2.2 million tons of gasoline a year versus its production of 5 million tons, and imports the rest. "Therefore, instead of building a refinery to export gasoline, it is much more important to make an investment that will reduce imports in petrochemicals. Actually, this is what makes STAR Refinery valuable," he added. Underlining that these investments are needed in order to offset Turkey's foreign trade deficit, İlter stated that even if Turkey does not see any economic growth, these investments are necessary in order to close this deficit. He continued, "However, we believe that economic growth will continue in the upcoming period."